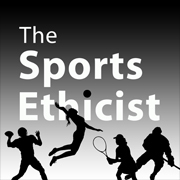 In this episode of Examined Sport, I discuss Fred D’Agostino’s “The Ethos of Games.” In this 1981 paper, D’Agostino critiques Formalist view of games and defends an alternative theory we call conventionalism. D’Agostino, Fred, “The Ethos of Games,” Journal of Philosophy of Sport, Vol. 8, No. 1, 1981, pp 7-18.